Raymond Zhou is a prominent bilingual writer and cultural critic, especially in the fields of film, theater and cross-cultural interpretation. He is a columnist for China Daily and Movie View. Zhou is the author of 20 books, published since 1998. His Chinese-language books are mostly about movies and performing arts, including Hollywood Revealed, an influential study of the mechanisms of the movie industry, and his English-language books include A Practical Guide to Chinese Cinema 2002-2012, which is the first English book that tackles the phenomenal expansion of China’s film industry. Another recent book covers China’s opera and musical scenes. Zhou is the only Chinese cultural critic whose photos have appeared in Time magazine, The New York Times and The Los Angeles Times. The Los Angeles Times calls him “Beijing’s answer to Roger Ebert”. Zhou wrote a play titled The Ring Road, using China’s road structure as a metaphor for today’s Chinese society and its stumbling blocks and pitfalls. The original English version premiered in Los Angeles in 2010, and the updated Chinese version, directed by himself and artistically supervised by the venerable Stan Lai, premiered in Beijing in 2014 and has toured ten Chinese cities to critical acclaim. 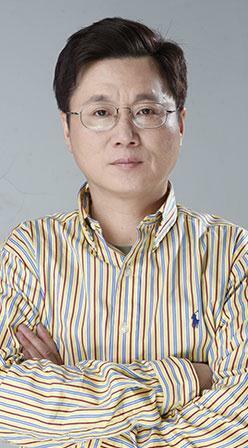 Zhou publishes more than 100 articles each year and makes at least the same number of media appearances. His latest appearances were in the BBC and Discovery documentary series on China’s culture industry, both as a guest commentator. Zhou is a graduate from Hangzhou University, Sun Yatsen University in Guangzhou and the University of California at Berkeley.